These pictures were taken by Brian Lynch. Please see him in the middle in the photo further down! Please see all his pictures also on http://share.shutterfly.com/, and download your preferred pictures from there. Thanks a million for all your great work, dear Brian! 1. 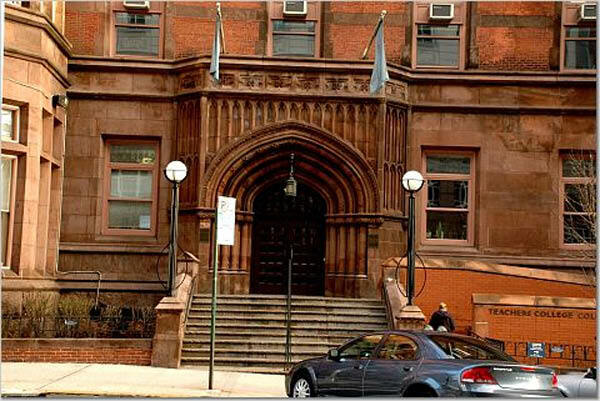 Please click on the main entrance of Teachers College to see the venue of our workshop, Columbia University, Teachers College, and Milbank Chapel. 2. We greet each other and present ourselves. 4. Lunch on Day One. 7. 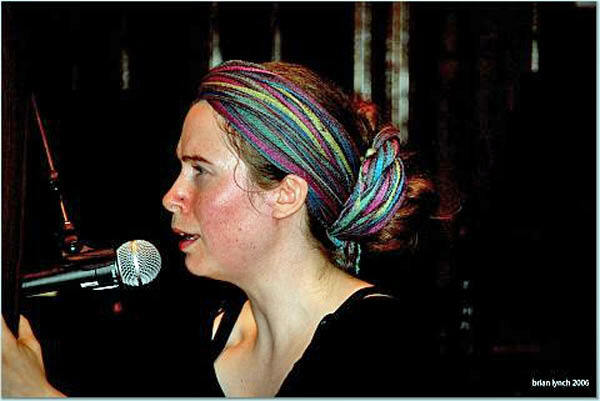 Cybele sings and plays for us. 8. Our Public Event on the afternoon of Day One. 9. Round Table 2 on Day Two. 10. Round Table 3 on Day Two. 11. Get-together after our workshop. Please click here or in the middle of the picture to see all the pictures from Evelin's camera. (representing the Eighth Annual HumanDHS Conference)! 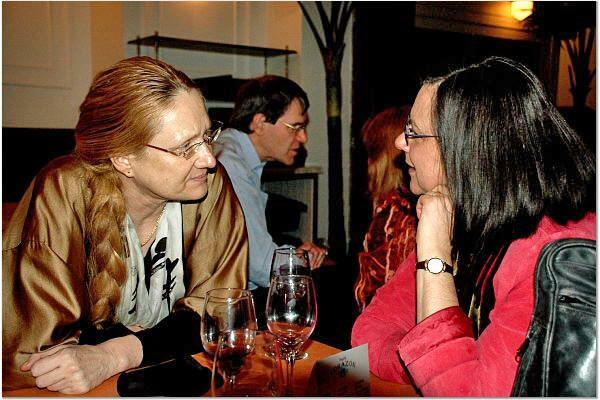 Please let me begin by sharing with you my deep gratitude to Linda Hartling. Without her wisdom, love, care, and huge investment of time, our network and our conferences would not be there. 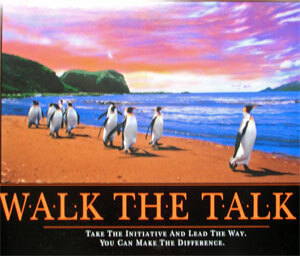 Thank you, dearest Linda, for this wonderful card "Walk the Talk": Take the initiative and lead the way. You can make the difference. 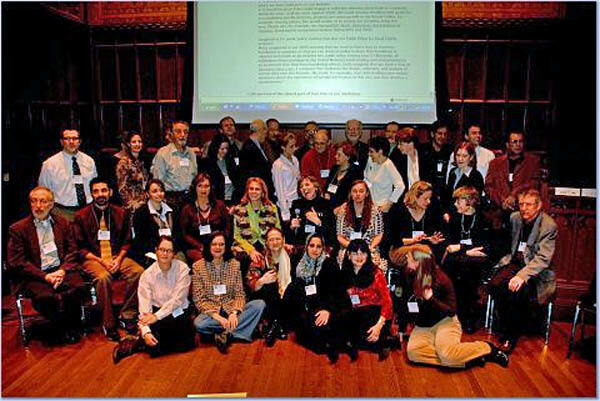 May I express my sincere gratitude and appreciation furthermore to all of you who joined our 2006 Workshop on Humiliation and Violent Conflict representing the Eighth Annual HumanDHS Conference! You ALL made our workshop a unique and extremely exiting experience! As after our previous conferences, I felt as if I went through a hurricane, so many creative contributions "swirled" through our workshop! I feel that I can hardly think a clear thought just now! Our workshop was a closed workshop. We could have had many more participants and unfortunately had to say "no" to many of you who wrote to us and wished to participate. We would like to express our regret to all of you who did not have the chance to participate. We will try to broaden our activities (and resources!) in the future! Please bear with us and give us your support so that we can grow in a constructive way! I would like to thank our amazing hosts, Andrea Bartoli (Center for International Conflict Resolution (CICR) at Columbia University), and Morton Deutsch and his wonderful team (International Center for Cooperation and Conflict Resolution (ICCCR) at Columbia University). I wish to give special thanks to Alba Taveras (CICR) and Beth Fisher-Yoshida, Kathryn Crawford, Naira Musallam, and Ines Anicet! I also wish to thank Judit Révész. We were able to build on the work she did for our first workshop in 2004, and without her support this year, we would not have been awarded new funding. Please let me furthermore express special thanks to Rick Slaven, Tonya Hammer, Doris Brosnan, Jessica Cichalski, Melissa Gage, Allison Nicole Buehler, who so wonderfully helped to keep our workshop in shape, with wonderful name tags, with caring for our food, and with taking notes during the entire workshop. Our warmest thanks also to Linda Hartling and Donald Klein for setting the frame of appreciative inquiry. Our dear thanks furthermore to our moderators Beth Fisher-Yoshida & Donald Klein, Maggie O'Neill & Philip Brown, and Nora Femenia & Kathleen Freis! And, of course, our warmest gratitude to Alan B. Slifka for his financial help for our workshop! 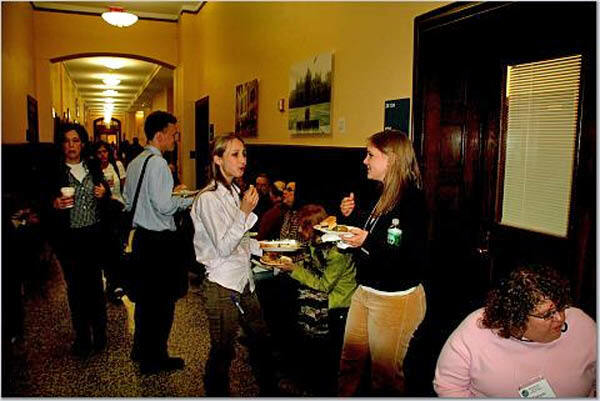 We were able to have catering and participants who otherwise would not have been able to attend, received support! May I end by thanking our presenters for their inspiration at our Public Event on the afternoon of Thursday, December 15. Finally, Donald Klein moved us all deeply on Friday morning. He shows us how to live in awe and wonderment. I personally am very aware of the shortness of life, every minute. I do not wish to live my life in pettiness. I am not happy if the only thing I am asked to think about is the "color of my car," particularly not while millions of human beings do not even have a minimum of livelihood. I wish to live in Don's broad and deep world of significance and meaning. We need your wisdom, dear Don! A very very warm thank-you to all! Evelin, on behalf of our entire network.  We have two yearly conferences, the Workshop on Humiliation and Violent Conflict in December at Columbia University in NY, and an outside-of-the-US conference. This year this conference took place in Costa Rica. • See here a “wish list” over ways to contribute to our work. • On the “wish list” you see, for example, you see that we would like to carry out a Literature Review of Survey Instruments Relevant to Human Dignity and Humiliation. • We would like to collect stories/cases/witness accounts of dignity and humiliation. • We would like to seed our Call to Creativity with actual examples to encourage people to submit their own achievements and ideas. • See also a list over our achievements. • Christopher announces our new Journal of Human Dignity and Humiliation Studies. • Phil announces that we are invited to create "Humiliation in the Academic Setting," A Special Symposium Issue of Experiments in Education, published by the S.I.T.U. Council of Educational Research, India. • Morton Deutsch's Second Edition of his Handbook of Conflict Resolution is out! 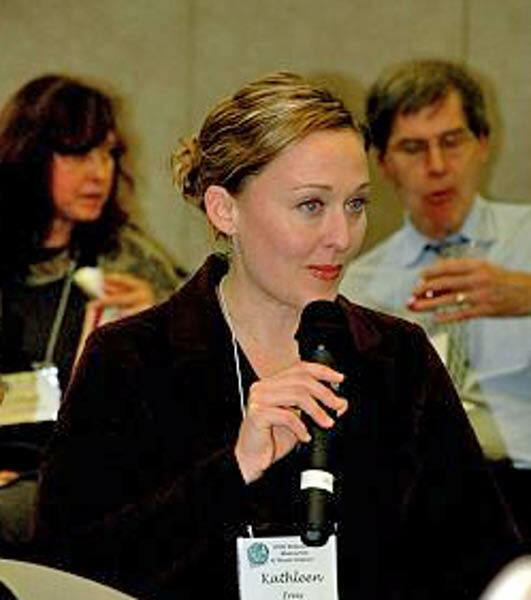 • Evelin accepted the 2006 SBAP prize in Zurich on behalf of the entire Human Dignity and Humiliation Studies network! • We need a helper, somebody who would love to commit for a longer time period, who would have ample time (like half a day per day), who would know how to write appreciative emails, and how to maintain a website! • We look for directors/coordinators for our Intervention projects. See for example our World Clothes for Equal Dignity project. Companies who are already in the fashion business, might be interested? See also our World Art for Equal Dignity project, where Peter Max offers us to paint portraits and give the 20,000 - 30,000 USD remuneration to us! Please find able people who wish to have a portrait by Peter Max! 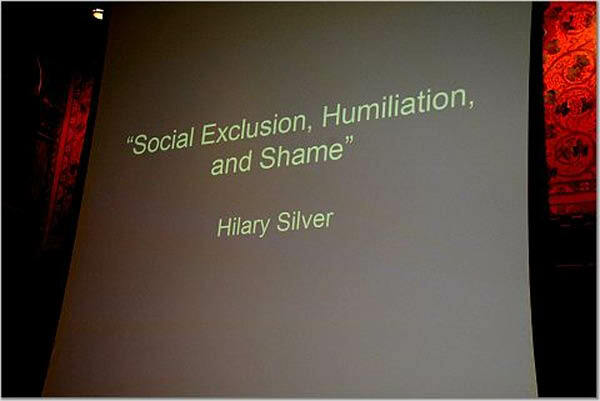 • "Humiliation and History in Global Perspectives," A Special Issue of Social Alternatives (Vol. 25, No. 1, First Quarter, 2006), with Guest Editor Bertram Wyatt-Brown. To obtain a copy, please make a cheque to Social Alternatives for $20 ($10 for the journal and the extra $10 to cover postage) and sending it to Ralph Summy, Co-Editor Social Alternatives, Adjunct Professor, Australian Centre for Peace & Conflict Studies, University of Queensland, Queensland, Australia 4072. • See also Evelin's chapters in edited books on her publications page. See, among others, "Humiliation or Dignity in the Israeli-Palestinian Conflict," by Evelin G. Lindner, Neil Ryan Walsh & Judy Kuriansky, in Judy Kuriansky (Ed. ), Terror in the Holy Land, Inside the Anguish of the Israeli-Palestinian Conflict. The term "Appreciative Inquiry" and the approach to organizational consulting and inquiry was developed by David Cooperrider at Case Western Reserve University. The approach is gaining wide usage among people doing organizational consulting. Please see more on our annual conferences page. 1. How can we make sure that we do not stifle critical voices when we use an appreciative frame? 2. How can we make sure that the appreciative frame allows us to talk in depth about serious issues of justice? 3. How can we make sure that we can talk about the "glass half empty" when they need to, and not just about the "glass half full"? It is important to note that our appreciative frame is a HumanDHS-defined version of AI. We believe in "waging good conflict" (Jean Baker Miller). We believe that diverging opinions and perspectives need to be expressed and not avoided, because diversity enriches. However, diversity only enriches if embedded into mutual connection and appreciation. If not harnessed lovingly and caringly, diversity has the potential to humiliate, divide, create hostility, foster hatred, and even violence. 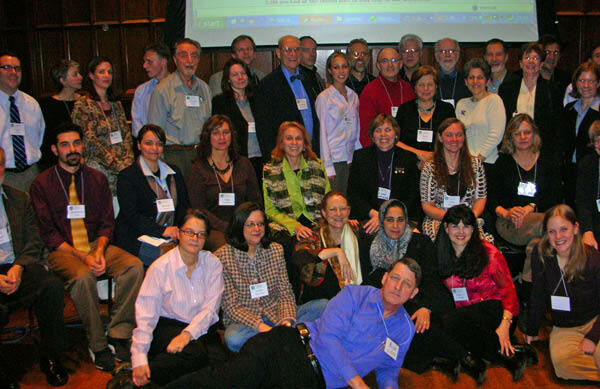 In the spirit of our vision, we, the HumanDHS network, wish therefore to avoid the latter, and instead open up a space of common ground and mutually caring connections, a space for the safe expression of even the deepest differences and disagreements, and the toughest issues of humiliation, trauma, and injustice. 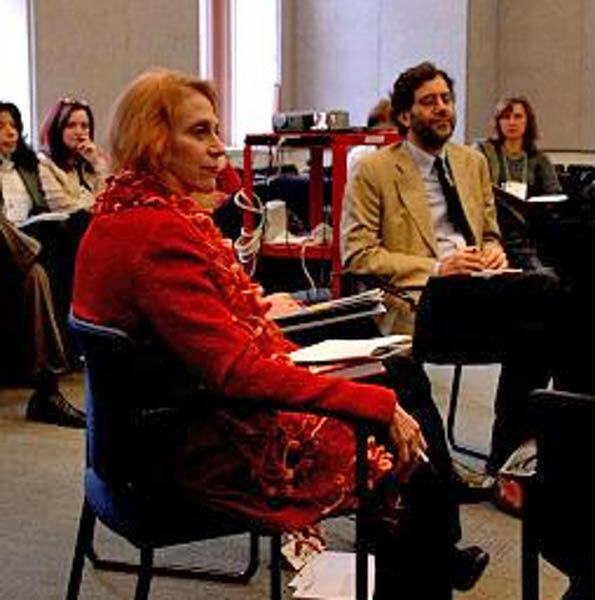 In other words, rather than stifling critical voices, our HumanDHS defined appreciative frame intends to help critical and controversial voices be aired, heard, and truly listened to in a dialogical space, in a mutually fertilizing and enriching manner, rather than as monological exchanges of attacks. As to the discussion of justice, we regard this discussion as central to the topic of humiliation, and certainly not to be excluded. It worrisome that AI can be a tool used to oppress and silence individuals. We must work together to prevent this. Your observations are so important to our collaborative efforts. As Evelin suggests, the HumanDHS network is applying and continually developing a frame of Appreciative Inquiry to help us meet in humility and mutual respect, and to help us "wage good conflict" (Miller, 1976). Waging good conflict is not about criticism but about constructively co-creating change, growth, movement, and clarity in relationship. Waging good conflict depends on a level of safety and trust, so that all members of the group feel they have the possibility to share their truth. I think practicing our HumanDHS-defined version of AI has helped us create some safety and trust, but your email reminds me we need to do more, to do as much as we can. It is not always easy to create these conditions in such a short program, but that is our goal. It is definitely not easy to bring people together from such diverse backgrounds to constructively connect across our differences in a short amount to time, but that is our hope. Related to "walking-the-talk" is the "glass-half-full" approach. We believe that lamenting only drains our energy - lamenting over whatever is "missing" and whatever we have not yet accomplished. Lamenting makes it more difficult to conceptualise what is missing as a challenge, as a next step, which we have to undertake with enthusiasm, motivation and courage in a joint effort. The perspective of "appreciative inquiry" is therefore a useful frame of our work. Our HumanDHS efforts are not just about the work we do together, but also about HOW WE WORK TOGETHER. Please read An Appreciative Frame: Beginning a Dialogue on Human Dignity and Humiliation, that Linda has written for us in 2005. Although the "glass is half full" view is far more hopeful, I have some appreciation for the "glass half empty" view because, at times, this view is very practical. It can help us see difficult realities and keep our feet on the ground. The "glass half empty" perspective can bring to the forefront obstacles that could derail our efforts. Consequently, I am glad to have a few people who can bring "glass half empty" concerns to our attention, BUT they need to be people who can move beyond lamenting and help us take action. Perhaps "glass half empty" view is a problem when people get stuck in lamenting, rather than moving toward action??? And I can't agree more with what you write, dearest Linda! Yes, I believe it is the lamenting that is destructive - not the clear analysis of whatever risks or shortcomings there might be. Lamenting is like throwing the energy out of the window that one needs to address what one laments about. I have observed that networks and groups often have members who invest lots of energy in lamenting - without turning the observed shortcomings into a motivation to develop positive action: Lamenting as main occupation so-to-speak, as a way to bond with other "lamenters," as a way to build alternative "power-bases" in the network rather than action that benefits the whole group, as a way to live out unresolved problems with authority, or a way to maintain a victim-identity in the face of adversity. I am searching for caring ways to invite "lamenters" into more constructive ways of applying their analysis. This topic links up to the themes of leadership, authority, and also the two theories of intelligence that we discussed as well (see newsletter 5 for an explanation). I believe that people with a mastery orientation also tend to have a constructive non-lamenting action orientation. To my observation, people with ego-oriented performance goals tend to cover up for shortcomings as long as they are their own, and engage in lamenting when shortcomings of others are at stake. We, Linda and Evelin, were approached after the workshop with the request — in fact, the demand — that we stop from what appears to many as shying away from the responsibilities of leadership out of our sense of humbleness and humility. We were asked instead to do whatever is necessary to continue to lead the network in a way that preserves its uniquely open character and caring inclusiveness. And we were told, in no uncertain terms, that we must provide the style of leadership that protects the network. However, the reason for why we are adamant to underline that we do not wish to dominate the field of Humiliation Studies, is to avoid any kind of personality cult. It happens to us frequently that we as leaders are perceived as dominators/humiliators merely for the fact that others admire our leadership. We are attacked by some, merely to humiliate/humble us in the eyes of people who admire us. Thus we are caught in between one side, who requests more leadership from us, and another side that punishes us for the loyalty or admiration that our leadership might elicit in our network. Since this is a typical story of humiliation, this dynamic is at the center of our inquiry, and needs our caring attention. As with all humiliation processes, the negative fall-back is big. Some of the attacks at us, since they are merely meant to "bring us down," are not well thought through and lack argumentative soundness. This, instead of enriching the dialogue in our field, hollows it out. Blind attacks, with the aim just to humiliate, are not constructive for the attacked, not constructive for the attacker, and certainly not for the rest of the group. And last, we as leaders are punished for something we have not caused, namely envy for supposed personality cult, and we lose our motivation to continue our work. Our work is extremely difficult as it is, and being punished for it, makes us lose our courage. We would therefore like to invite everybody most lovingly to co-protect our work together with us. 100 eyes see more than 4 eyes. We do wish to encourage everybody to engage in shared leadership. We do not know about all the occasions and places where more protection is required. In fact, most probably, most of the instances where our work needs protection are unknown and opaque to us. And we cannot, and we do not want to lead other than in a co-created effort. Therefore, please, stand up for our work together with us! We need everybody's protection! And please protect us also from humiliation! Furthermore, the success of the network is generating many opportunities for our members to expand their activities, and extend the influence of our work. To be able to take advantage of those opportunities, and at the same time preserve its open and inclusive nature, we need to ask our members to not only protect our work, but also share some of the network’s creative and administrative tasks. We have confidence that the membership will come together in the spirit of mutual connection on a platform of humility, equality and dignity! We look forward to hearing from each of you what help you and your staffs, associates and institutions can provide. "The way it's done by experts" (Ray and Anderson, 2000, p. 234) might be counterproductive for promoting new goals. "Hire for attitude, train for skills," is what consultants advise businesses today: do not look for skills, look for people who share your vision and then help them develop new skills (Kjell A. Nordström, Stockholm). If such advice is suitable for the new global challenges facing the corporate world, it is certainly appropriate for our network. We therefore wish to encourage everybody in our global network to join us with their vision and let new skills, new solutions, and new structures grow out of this vision. Currently, we urgently need help to develop our HumanDHS network and activities further. We would love arriving at a system where volunteers commit a certain number of hours per year to help. In order to achieve this, we wish to place our vision first, and everything else second, including financing, funding, or salaries. We do not wish to use a salary as the only incentive and just hire any staff. Even though funds are crucial to getting work done, this would still be the wrong sequence of priorities. Instead, we look for people who identify with our vision, who bring their love and passion into our group and our work. We look particularly for people who are freshly retired, with lots of wisdom, time, and energy, who can commit to several years of loving contributions to our work! If you are one of them, could you please read this carefully and consider contributing! 5) describe a brief prototypical example of humiliation, and describe a marginal, weak, doubtful example. 1. People around the Earth need to become globally co-responsible for our Earth and our life together. But we are so caught up in violent conflicts with each other. How do we ‘snap out of it’ and become cooperators together? Evelin’s answer has to do with recognizing we feel humiliated by each other and continue unintentionally to reinforce that. We need to walk together out of that frame into equal dignity in each others’ eyes and behaviour. 2. How do I respect people whose culture takes ranking of worth as right and proper … while also respecting my own revulsion for ranking people as to their worth … and have a way to present my view that does not automatically create a feeling of having been disrespected/humiliated (which would reinforce the violent conflict and undermine becoming cooperators)? Evelin’s answer: normative systems make sense to people in relation to their context, and the historical context is changing and has already changed dramatically, making the ranking norms less suited than the equal-dignity norms. After each of our conferences, so far, I feel as if I went through a hurricane. Usually, I can’t think straight anymore directly after our conferences. The impact of the wealth of impressions is usually so overwhelming that my mind seems to shut down. Don always talks about the sense of awe and wonderment that is at the core of what he calls appreciative being: I feel as if I am stripped of words and reduced to the core of awe and wonderment in the face of the richness of the contributions from all participants. Usually it takes a while until words come back to me. Our Costa Rica conference had exactly the same effect on me. 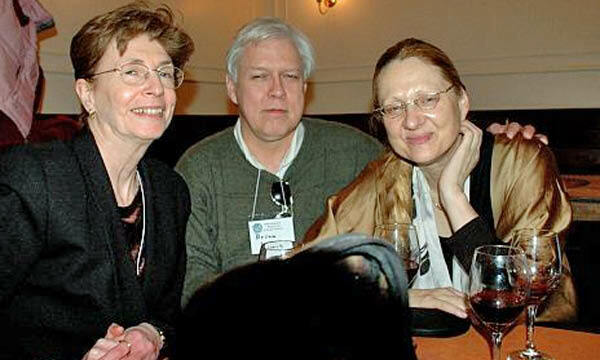 In our network we are something like 300 people (in our Board of Directors, Global Core Team, Global Advisory Board, Supporters, Partners, Research Team, and Education Team), and each time it is a core group that carries our conferences, Linda, Rick, and Don, for example, while others participate for the first time. The effect is that each conference is made up of a different mix of people. This makes each conference very exiting and novel. This was also the case in our Costa Rica gathering. 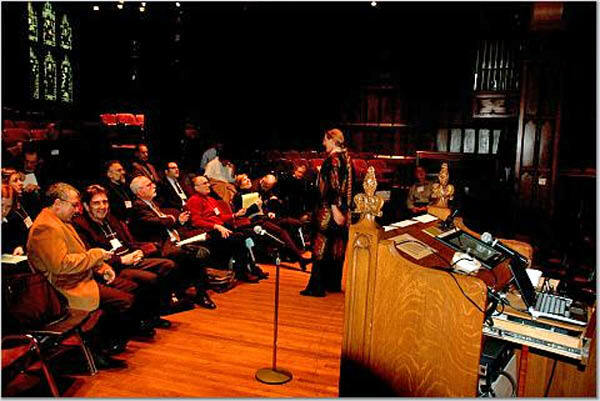 We always bond as a group in our conferences, however, this is usually slightly different in our U.S. conferences, which are more formal, as compared to our outside-of-the-U.S. conferences, which are more informal. However, in each case, very special synergy and connections emerge. I am deeply touched by these connections. Without them, I would not be able to continue our work. I walk a rather fear-inspring path. I try to be a global citizen, so as to build our global "alternative" HumanDHS community. I am continuously afraid: What if I do not find a place to be housed? What when I am getting older? Where will I go? I have no chance to accumulate any old-age security.... The list of possible fears is never ending. Another source of fear is the organic way of building our network, like a garden, that has its own laws of growth, with seeds springing up at the most unexpected places. I am more of a "searcher" (or "entrepreneur"), and less of a "planner" (or "bureaucrat"), if we take the International Development Aid language. I need help to defend my searcher's orientation. Planning carries the potential of destroying creative and organic processes, because the open space necessary for creativity to flourish is by definition undefined and fuzzy. However, planning has its place as well. Well-planned administration needs to be invited whenever an organic process can only be brought forward by precise planning. Since the human tendency is to want to escape fear by building "reassuring" structures, I need protection for my desire to keep the space for organic growth open. I need friends who, like me, are ready to shoulder the fear that is an inherent part of the activity of facilitating creativity - I need friends who keep the space open that needs to be kept open, and who step in and implement and administrate whatever needs to be administrated. My vision is to build HumanDHS as an alternative global community that offers space to people for developing and implementing ideas and projects in the spirit of equal dignity for all. This involves motivating people, and this cannot be planned. People must "catch" fire and passion. This cannot be ordered and prescribed. However, as soon as a certain ideas have materialized to a certain extent, and are ready to be carried out, careful planning is required. In this way, both, open space for creativty, and planning need to be interlinked. Our Research, Education and Intervention directors/coordinators therefore need to attend to both: to opening space for passion and motivation among our contributors, while at the same time also guiding them to the appropriate amount of planning. I struggle with how to respect people who are steeped in the normative code of honor and ranked human worthiness. The practice of honor killings (others prefer the term femicide) is but one of many markers for such a normative universe, a marker that is not present everywhere, but which makes palpable a collectivist ranked societal system. I want to respect that order and I want to respect people who adhere to that order. However, I also want to respect those of my friends who risk their lives for human rights. Shirin Ebadi, for example, the Iranian human rights lawyer who received the Nobel Peace Prize, continues her work in spite of death threats. She chooses a life of risk and hardship in order to help dismantle a world or unequal dignity and help build a world of equal dignity for all. She is extremely courageous. I have many friends around the world who put their lives on line, like her, for the ideal of equal dignity for all. As was correctly pointed out, this is an ideal that is enshrined not only in human rights, but has roots in many religions, being highlighted particularly by founders of new religions. However, so far, their revolutionary message was usually soon eaten up by hierarchical structures. Historically, during the past millennia, the idea of equal dignity for all has always been there, but has had little chance to be expressed in the reality of our world. I do not wish to let my desire to be respectful of the normative world of collectivist honor be insensitive to the struggle of the Shirin Ebadis and Nelson Mandelas around the world. I do not wish to stand by when Shirin Ebadi is in danger to be killed, and say, "so be it, if Iranian culture condones that she should be killed, let them do it." I believe that we live in times of so significant global interdependence, and such pressing global challenges, that we need to conceptualize all humankind as one family, which also means that we cannot afford "respectful" negligence anymore. We can no longer say, "let them do what they want as long as they respect me," because the world is no longer a world of autonomous fragments that can stand alone. Apart from interdependence, there is another problem, namely that there is no homogenous "they." Shirin Ebadi is Iranian, in other words, she is "they" as much as the Iranian Mullahs. And Nelson Mandela is as much "they" as South African white supremacists. Usually, elites reject the idea of equal dignity and underlings want to embrace it. It is not reflecting reality to describe ranked honor is what "they" believe in, meaning "they" "Iranians," "Asians," and so forth. It is rather that elites among "them" defend their higher rank, not surprisingly, while the underlings among "them" wish for equality in dignity, and this to be observed all around the world. However, since the voice of the elite is often louder than the voice of the underling, the rest of the world can easily be mislead into hearing only the elite voice and confounding it with "all of them," overlooking that the voice of "their" underlings would profoundly disagree. As mentioned earlier, not least founders of religions around the world often have had the idea of equal dignity at the core of their message and underlings flocked to them, hopeful of more equality in dignity. My way of respecting collectivist honor cultures and their practices and members, while at the same time respecting and protecting those who struggle for change, for more equality in dignity, is to conceptualize both normative orders, including all their nuances and transitions, as adaptations to, or "cultural conversations" with certain larger contextual limitations that have changed historically. To me, honor norms represent an adaptation to a certain setting of conditions during a particular period in human history, while the ideal of equal dignity for all, to be found not only in human rights ideals but also in several early religious teachings, did not have much of a chance to thrive in the real world until very recently. Yet, there is a new situation now. The probability for the ideal of equal dignity to gain weight is currently on the rise, in tact with changing global conditions, which in turn are influenced reflexively by the growing weight of these very ideals. I prefer to use the term vertical ranking of human worth and value, rather than inequality, hierarchy, or stratification. The significant point for my discussion is not the absence or presence of hierarchy, inequality, or stratification, but the ranking of human worth. Hierarchy, inequality, and stratification can very well coexist with the absence of ranking. Robert W. Fuller (2003) describes this in his book Somebodies and Nobodies. According to Fuller, humiliation is not the use of rank, but the abuse of rank. The pilot in a plane or the captain of a ship are masters over their passengers when in the sky or at high sea. Clear hierarchy and stark inequality characterize these situations. The pilot and the captain, however, need not look down on their passengers as lesser beings. In other words, using concepts such as hierarchy, inequality, or stratification, could be somewhat misleading, inviting objections such as, "There have always been differences between people! Human beings have never been the same and never will be! Are you a dreamer who believes that we could or should all be the same? This is not only impossible, but boring!" Such objections are irrelevant to the discussion of this book and represent a grave miscomprehension of its focus, which is whether human worth and value can be ranked. Diversity and difference can, without a problem, go with sameness of value and worth; there is no automatic mechanism that necessarily links diversity and difference to rankings. The vertical scale of human worth is conceptually independent of hierarchy, inequality, or stratification. A system that condones the vertical scale of human value essentializes hierarchy, inequality, and stratification. In such a social framework, a street sweeper not only does a lowly job, the lowliness of the task is essentialized as the inner core of his entire being: He or she is a lowly person. Something that could very well be peripheral to this person's essence, namely the task of sweeping the street, is turned into her core definition: this person is deemed to be of lower human value and worth. This essentialization is what we find in many, if not most, traditional societies. A street sweeper and a bank director could easily be seen as fellow human beings of equal dignity, differentiated only by their occupations. However, in traditional societies, this basically neutral difference is ranked as lesser and higher. My Fair Lady, the musical, illustrates beautifully how Professor Higgins regards the poor flower girl Elisa as a lower human being, even after she has learned higher manners. Her essence, in his view, is fixed in lowliness through her initial poor status in society. For Professor Higgins nothing can turn Elisa into a human being of worthiness equal to him and his class. The conceptualization of history in this book has been criticized by scholars who wish to avoid looking down on people. They reject the notion of historic stages because they feel that this smacks of arrogant ranking. They believe in extending respect by highlighting egalitarian diversity, both synchronic and diachronic, rather than insinuate ranking. I agree with the goal. However, I believe there is an easier way of avoiding arrogance than by suppressing the fact of long-term global change. Hunter and gatherer lifestyles evolved under circumstances of abundance, whereas agriculture was an attempt to expand the pie of resources through intensification when abundance had turned to limitation. Modern societies, in turn, are deeply influenced by the coming into being of one single global village, which posits yet another novel set of circumstances. In each case, humanity coped and copes creatively, each time within another set of limitations, using the preexisting tool kit and expanding on it. The identification of stages is not to be confused with the arrogant view that the last stage is the best. It may simply be the best under current circumstances. Each stage benefited from being familiar with the physical and mental tool kit that came before. Earlier I stated that it is an ideological decision whether or not to apply a vertical scale to human worthiness so as to draw up a hierarchical gradient. The same pertains to human history. Human communities and societies - both present and throughout history - do not need to be ranked hierarchically. I certainly do not intend to rank them. However, the wish to abstain from ranking does not force us to relinquish describing differences, even systematic differences that build on each other. It is not necessary to abandon analysis of stepwise discourses just to avoid rankings. Differences, even differences that can be narrated as steps or stages, may be posited as equal in worth and value. I find it hope-inducing that archeological evidence of systematic war is lacking prior to 10,000 years ago. If systematic war was a side effect of human adaptation to the peculiar conditions of the past 10,000 years, my hope is increased that humankind might be able to build a better world under the new, more benign conditions of a global knowledge society. I find it respect-maximizing when I can humbly recognize the inner logic in practices such as honor killings while extending an invitation to the defenders of such practices into a new, more benign moral universe of human rights ideals. The conceptualization of history in this book uses a Weberian ideal-type approach. What is described as a sequential development is also synchronic, even within each community and within each individual. Within societies that take it for granted that they are based on human rights, considerable remnants of the honor order linger on. Likewise, in societies such as Pakistan, Egypt, and Mexico, supposedly adhering to the collective honor code, we meet the most clear-sighted human rights defenders. The process is even confounded within the minds and hearts of individuals. The staunchest feminist may give her car key to her husband because she believes he can protect the family better than she can. When the doorbell rings unexpectedly in the middle of the night, she might send her husband to the door. A Western woman, supposedly so "liberated," may be astonished at her Somali sister who, newly arrived in the West, displays more courageous "feminism" than she would ever dare. Different mind-sets exist side by side in the global village, in the same society, and even in the same mind. Rostow's linear theory of development is criticized in this line (Rostow, 1960). I thank Roger van Zwanenburg for making me aware of Rostow's work. Today, I design my life as a global citizen, without a house of my own, moving around in the "global village," being housed by our HumanDHS network and supporters of our work, living digital and without paper, and with a minimum of possessions. I refuse being full-time part of any national institution. I wish to stay globally flexible. I would be the first candidate for a professorship at a World University for Equal Dignity. I am perhaps a Peripatetic, like Aristotle, who taught philosophy while walking in the Lyceum of ancient Athens. I walk in the global village, because I wish do to more than decry the world's ineptitude to address its global challenges. I wish to adapt my personal life to the world's global challenges, bring my life to scale so-to-speak. Living a global life is one of my ways of not just talk, but walk my talk. There are many advantages connected to my global life, both for me personally, and for our network. In the following, I attempt to spell out some of them, since my experience is not shared by many, therefore rather unfamiliar to most, and not least colliding with mainstream beliefs that "one needs a base to stay sane." Personally, I feel liberated from having to accumulate possessions - as I have no place to put them. (At the same time I cherish great built structures that stood for millennia, or pieces of art that would not have been created in a nomadic society; in other words, what I feel liberated from, is not possessions per se, but accumulating possessions just for the sake of accumulation). I also cherish being part of many families around the world and living many parallel lives (I avoid staying in hotels, so as to not remain in a bubble of isolation). Having an extended global family, with members from many cultural backgrounds, all with a diverse set of perspectives on the world, teaches me first hand understanding and respect for the diversity in our world. This helps me bring my life to scale with the global challenges that humanity faces. It also satisfies the rather unusual sense of aesthetics that I have. I cherish the beauty of humankind's cultural achievements, in all cultures. They are my aesthetic home. What hurts me deeply is the fact, as discussed above, that these achievements are not necessarily valued and visible locally. Currently, the desire for higher status, often translated into an urge to imitate the wealthy West, leads to global ugliness and dysfunctionality that often chokes much of the potential for local beauty and functionality. This state-of-affairs pains me deeply, and transience helps me tackle it. I deconstructing local environments, search for the often unfulfilled potential for beauty and functionality, and try to enjoy and nurture this potential (see, for example, our World Clothes for Equal Dignity, World Design for Equal Dignity, or World Architecture for Equal Dignity initatives). For our network, the advantages of my global nomadism are numerous. In order to identify like-minded people around the world, to find people who talk the talk and walk the talk, it is important to get to know them within their social context, preferably not just via email or short visits. Living truly globally allows me to serve our network as a global "pathfinder," as a global "collector" of like-minded people. The fact that I usually stay in one place for a while, but not unlimited, enhances my ability to meet people. Many people make an extra effort to see me when they know that the duration of my presence is limited. A mixture of face-to-face meetings and appreciative emailing allows for building a global network that is wider than a local network based on physical co-presence would ever be. This approach serves our aim to inspire many people and institutions around the world and motivate them to invest in our topic. For example, we would be happy if professors at all universities worldwide motivated their students to do research and practice in our area, and developed curricula that could feed into and help build our face-to-face and online education activities. Therefore, rather than being one professor in one place, who inspires her students, I wish to inspire many professors to motivate many students in many places. (This includes that I could be affiliated to many universities around the world, if they agreed to support my global quest. Arne Næss, famous Norwegian philosopher, over 90 years old by now, looked back on his life in our 2003 Paris conference and concluded that the one mistake he had made in his life, to his view, was to stay fixed at one university, instead of living a global life as visiting professor). I wish to sow as many global seeds as possible, and multiply our message locally and globally, at all levels, and in all segments of society, and this in a long-term fashion, not as a short-term business or campaign. Therefore, not only professors and students are invited, everybody is warmly welcome to invest in a long-term manner into building our alternative global community of dignity. To conclude, my global citizenship expresses the vision of our network in many ways. First it honors the fact that we need to go beyond local and national identities and life designs and embrace all humankind as one family that is united in equal dignity. Second, it brings my life to scale with the global challenges that humankind faces, both ecologically and socially. And finally, it is simply very practical for our aim to build an alternative global community of equal dignity for all. I believe that we have to be cautious with old methods when we wish to find new solutions. My life respresents a search for new methods, and I am proud that I avoid old solutions that are narrowly nationally defined, even though I am aware that this might still be the mainstream way of looking for solutions. Notes prepared after the 2006 Workshop on Humiliation and Violent Conflict, Columbia University, New York, December 14-15, 2006. I would like to end this newsletter by thanking you again for all the wonderful mutual support. I think there was nobody who did not contribute generously, therefore let me give my warmest thanks to ALL OF US! 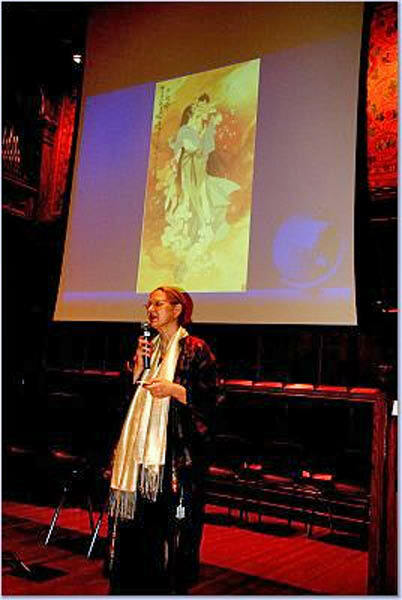 I very much look forward to our next conferences in Hangzhou, China, in April 2007, and hopefully in NY in 2007!